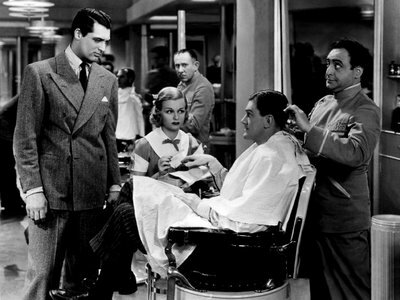 Eve Fallon (Joan Bennett) upset for having not recieved the correct judgement which had political interference quits being a reporter and goes back to her other profession of a manicurist. 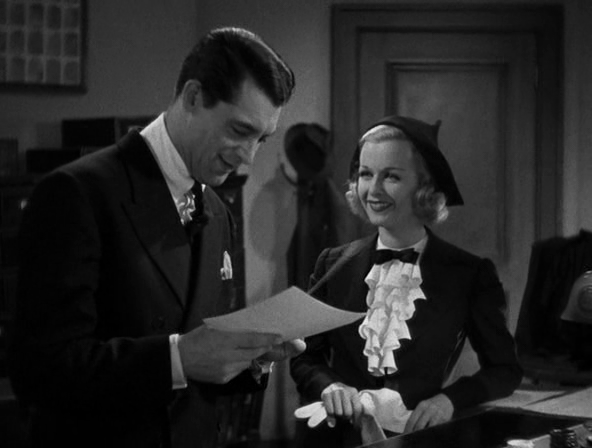 Her boyfriend, Danny Barr (Cary Grant), a detective is equally upset with this injustice, quits police. Now, they are secretly on their way to find the evidence. This movie had comedy, witty one lines, romance and mystery. Eve comes across as a big mouth and has some of the best lines in the movie. Among frequent banters, Eve and Dan are very much in love. Dan is investigating a series of jewel robberies and one of them turned serious with a baby being killed of a stray bullet. The killer was identified, but the system had loop holes and he wasn’t punished against the charges. Dan in his own way privately starts a trail on Cortig, as he is convinced about his involvement. He gets the support from Eve as she is always inquisitive and in constant look for any news. While manicuring she figures the role of a prominent personality’s involvement in the jewel robberies. The missing piece in Dan’s trail is coincides with discovery made by Eve. Richard Morey, a local politician played by Walter Pidgeon is the main man behind the crime and he is nabbed by the team work of Eve and Dan. Comical performances by Marjorie Gateson in the role of Mrs Chesley Cole and Douglas Fowley as Benny provide some exercise to the laughter muscles. 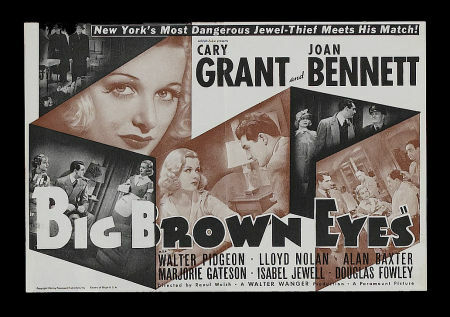 Released in 1936, Big Brown Eyes directed by Raoul Walsh was known to be an experimental movie considering, this genre of movies were limited to Warner Bros in the mid 1930’s. Paramount did manage to get the bearing with the story and the screenplay and it was well accepted at the box office.